During my visit to Providence last week, I went for a walk in Downtown Providence. 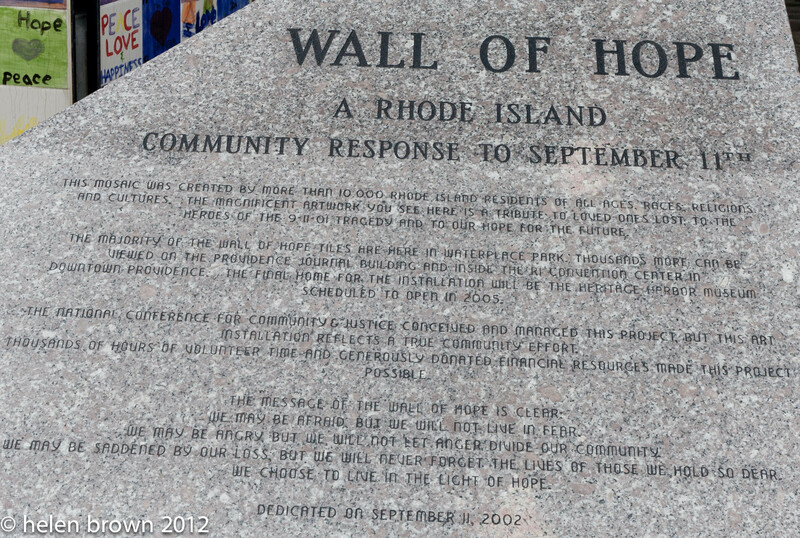 In the waterfront area, I found the Wall of Hope. 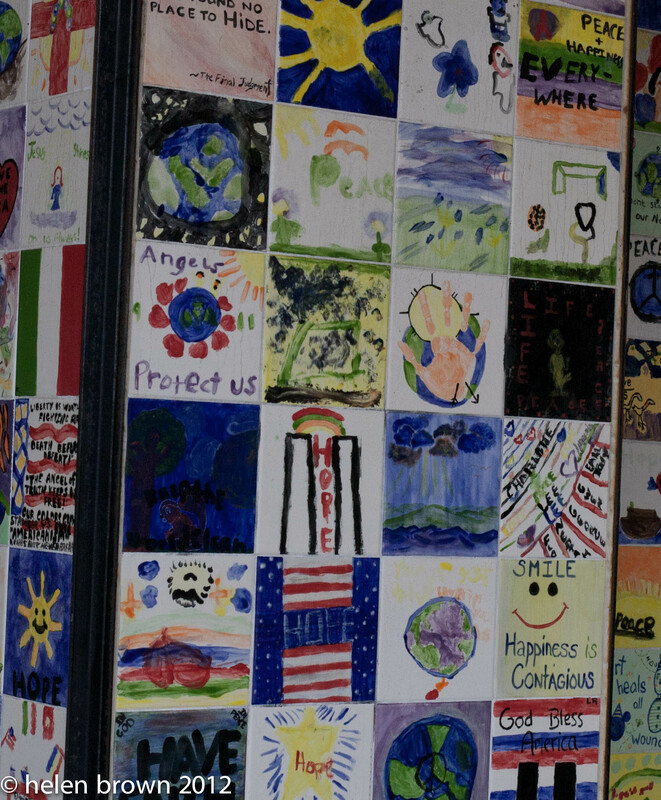 It is a tribute to 9/11 and where people gather on the anniversaries of the date. 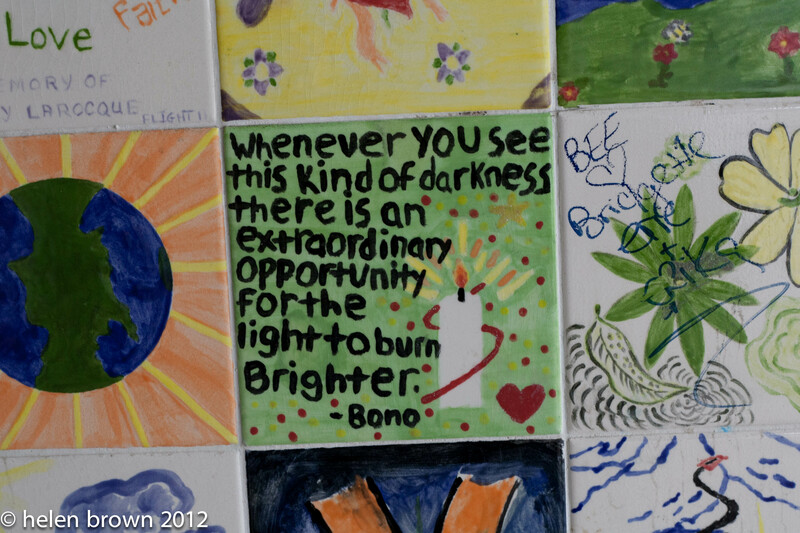 It was walls of tiles painted by children. In my opinion, it was a great tribute and very moving. You could spend hours reading the tiles! Yes, it is! I was moved when I say it last week.